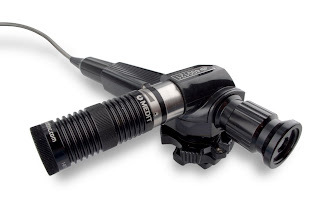 The Fiberscope set with this light source can be used in severe climatic conditions, where other light sources cannot work. One of the most important features of this LED light source is a very durable LED bulb with practically endless resource. - Battery life (at full illumination) 45 min.